Gemma has ballet on Friday’s, Milo starts cricket practice on Thursday and Dad’s working late Monday. 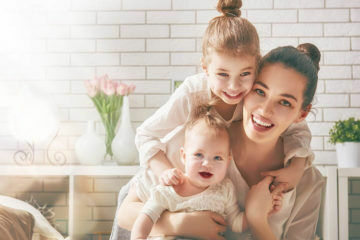 Keep track of your tribe with a handy family planner. Everyone has their own column so there is no more missed parties, late homework assignments or opening night at the ballet. 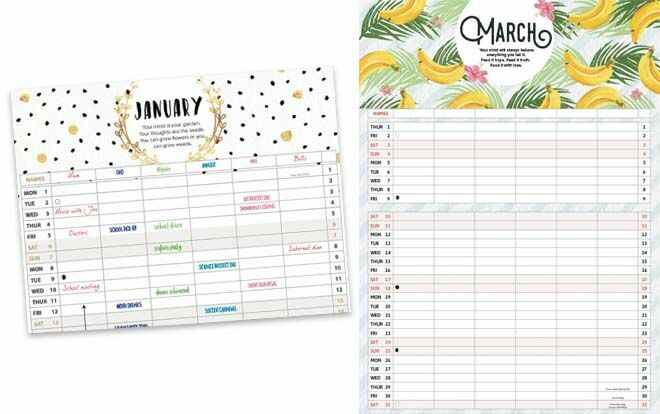 Here are our favourite family planners to keep you organised in 2018. 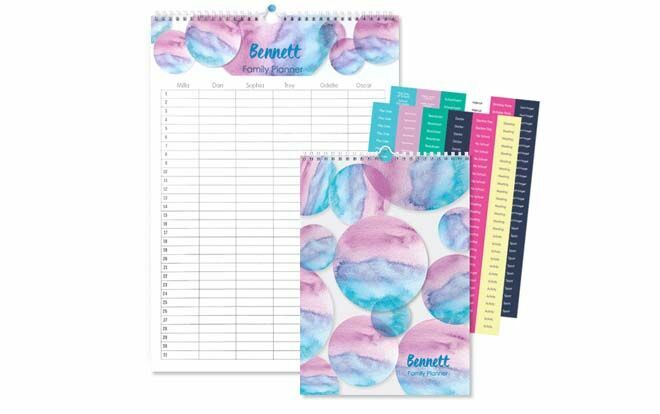 See the whole month on one page and get your family name printed on the cover with the Tiny Me Personalised Calendar ($30). 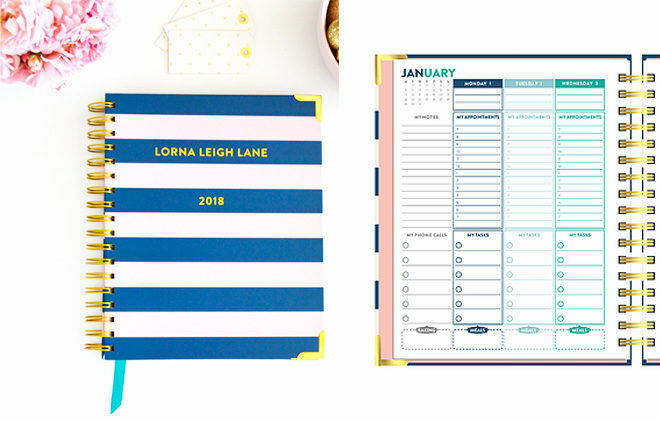 Beautiful as it is practical, the Lorna Leigh Lane weekly planner ($58) will easily organise your family appointments, sporting commitments, dance concerts and life in general. 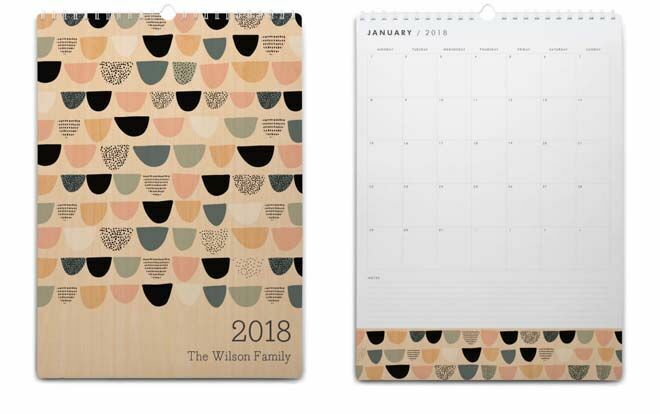 Cute illustrations and stickers, plus room for all of those important family dates, the Kikki K 2018 Large Family Calendar ($29.95) makes light work of family organisation. Hello beautiful! 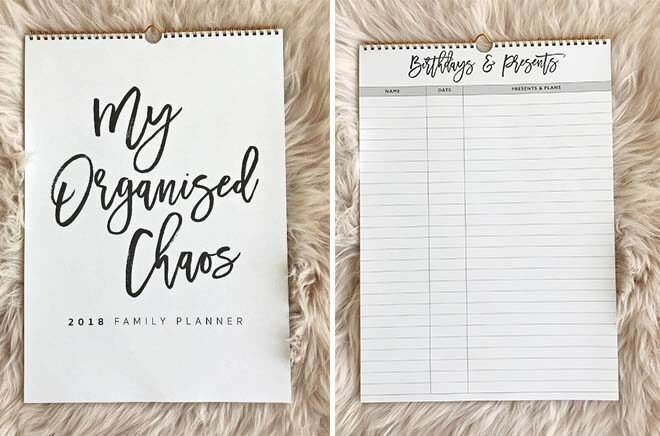 We’re suckers for gorgeous typography and the My Organised Chaos Family Planner ($24.95) has it in spades. 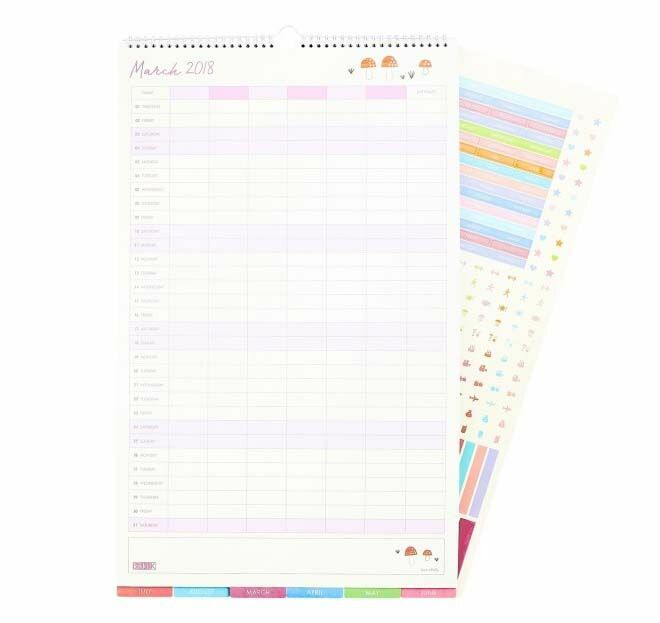 More of a tool than a calendar, the Smart Family Organiser (from $16.99) helps organise up to six family members by giving them each their own column. 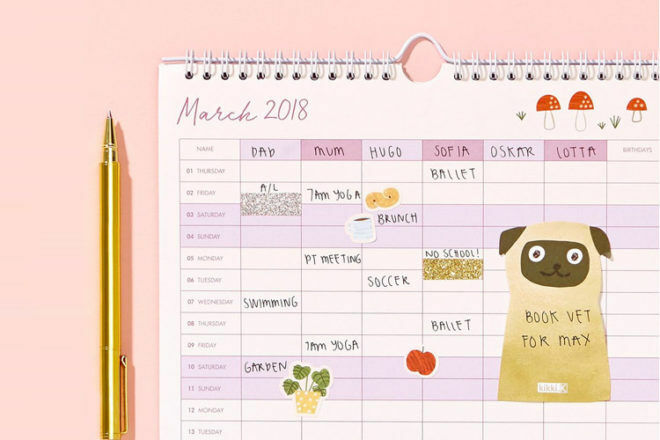 Sort a family of up to six with this nifty Stuck On You Family Activity Planner ($29.95) that can also be personalised and prettied with stickers. Like to be able to see your year at a glance? 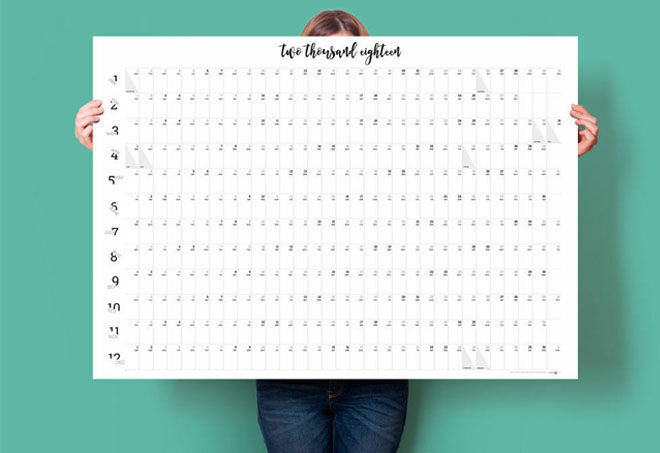 Snaffle up this downloadable CreativeFixDesign ($16.50) Planner, print it out poster size and you’ll know exactly what’s happening for all of 2018. 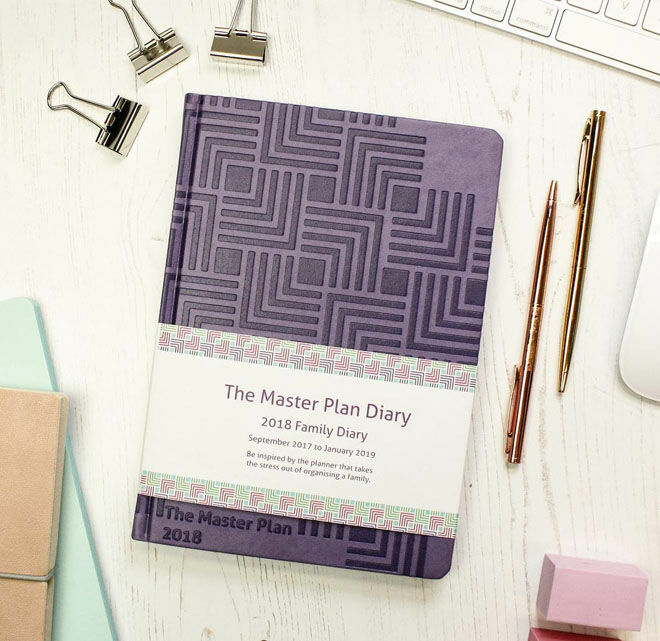 If having your weeks on view is more your style, The Master Plan Family Diary ($35.95) does it beautifully. And it has those handy perforated page corners so you can easily find what day you’re on. Here’s to a super organised (and fun) 2018!